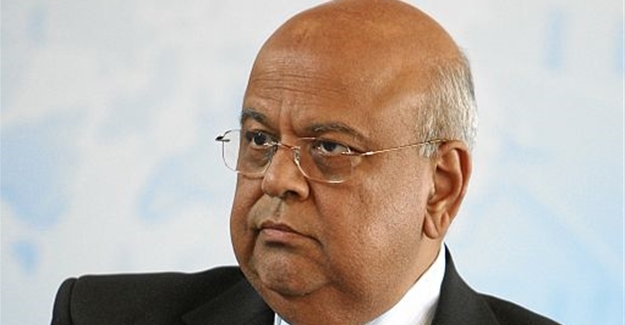 In what can only be described as showboating by its director, Shaun Abrahams, the National Prosecuting Authority (NPA) issued summons against finance minister Pravin Gordhan on charges of fraud, causing ripples once again through already jittery financial markets. The NPA has been hanging legal proceedings over the minister’s head for a number of months now, related to his tenure at the South African Revenue Service (SARS), but the summons to appear in court on 2 November seems to have come out of the blue. It is believed that the actions are a thinly veiled attempt by President Jacob Zuma and his supporters to oust Gordhan. “The summons was received by Minister Gordhan’s office in circumstances where we had expected that the national director of public prosecutions (NDPP) will interact with us in light of the correspondence exchanged between our office and the NDPP dating back to 18 May 2016. We had repeatedly requested that the NDPP afford Minister Gordhan the opportunity to make written and/or oral representations before making a decision on whether to prosecute or not. In particular, the NDPP, Shaun Abrahams, advised us on 25 August 2016 that he will only consider our request to make representations to him on whether to initiate a prosecution or not once the investigation has been concluded and a docket has been submitted to the National Prosecuting Authority. It is surprising that we have only received a letter dated 4 October 2016, but only sent to our office this morning advising that Minister Gordhan is an accused person. The other difficult matter for Minister Pravin Gordhan to appreciate is the nature of the charges. We were firstly advised that he is not a suspect during May 2016. In August 2016, he was advised that he should give a warning statement which by its very nature meant that he is now considered to be a suspect in relation to very clearly defined charges. It was contemplated by the Hawks that he has contravened the provisions of Sections 1, 34 and 81(2) of the Public Finance Management Act, 1 of 1999, that he was guilty of corruption in terms of Section 3, 4 and/or 10 of the Prevention of Corrupt Activities Act, 12 of 2004 as well as Section 3 of the National Strategic Intelligence Act, 39 of 1994. These related to the establishment of an investigative unit at SARS and the early retirement of Ivan Pillay as SARS deputy commissioner. All the documents mentioned in this statement are available at Gildenhuys Malatji’s website.